Weight: 4.48 oz. 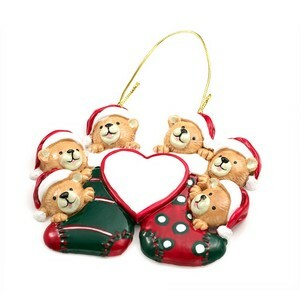 / 128 g.
6 bear family ceramic Christmas ornament can be inscribed with family name i.e. : The Smith Family.